NICOTINE is a melodic punk band formed by HOWIE(V), YASU(G), FULL(B), and NAOKI(D) with the songs written in English. In 1993, they launched the band in their home town in Chiba and went to US right away. After the return they founded an indie label “SKY records”. Though as an indie artist, they sold over 100 thousand copies, followed by signing KITTY MME going into major field. 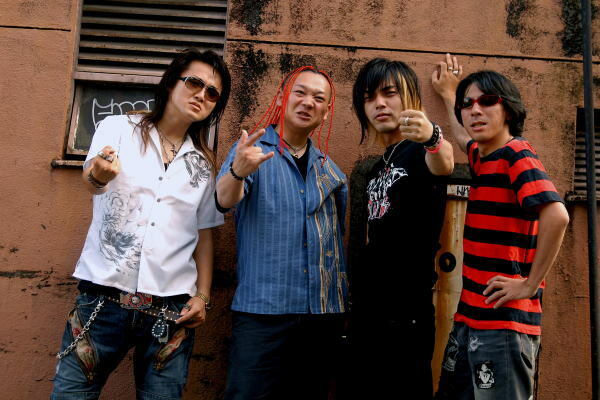 In 2002, they signed Warner Japan to conquer the international punk rock scene. And in the summer of 2002, they released “Movie Addiction” a collaboration movie theme song album with an American upcoming pop punk band, NEW FOUND GLORY. Moreover, they released “Samurai Shot” from a US indie label ASIAN MAN RECORDS in US, and performed at “WARPED TOUR” the world’s biggest punk event for two consecutive years, proving their DIY spirit all over the world.